" Most comfortable nasal pillow I've ever used. No more red marks on my face! " " Mask fit perfectly and was easy to adjust. Highly recommend it. " The DreamWear Gel Nasal Pillow CPAP Mask with Headgear - Fit Pack from Philips Respironics is the nasal pillow version of the popular DreamWear mask. 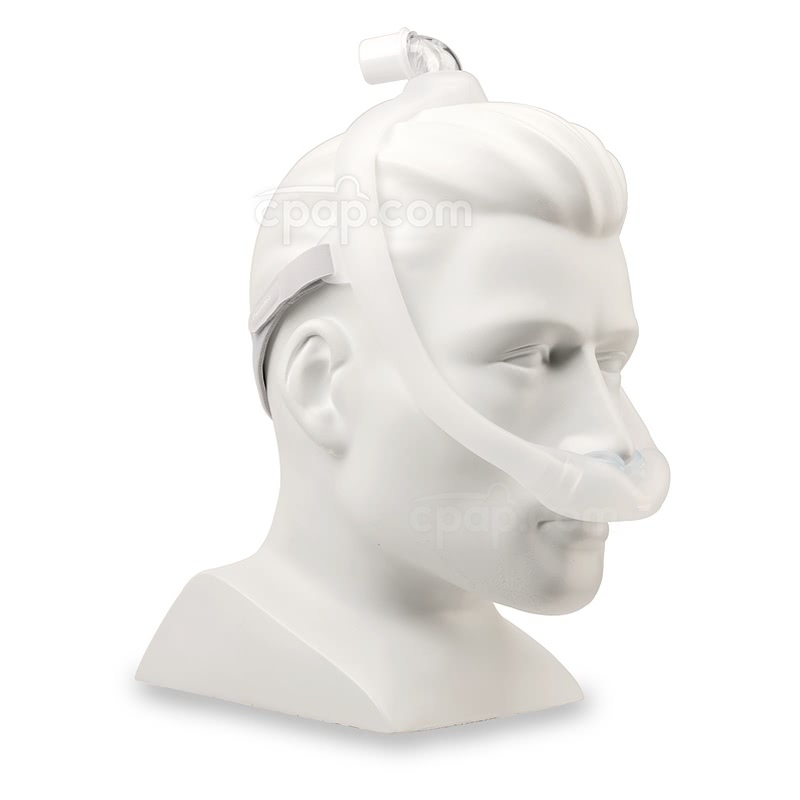 The mask features a hollow frame design that allows CPAP therapy air to travel through the mask. The fit pack includes the medium frame and small, medium, and large gel nasal pillows. The DreamWear Gel Nasal Pillow CPAP Mask with Headgear - Fit Pack offers an alternative therapy option to the original nasal DreamWear. Instead of the cushion that covers both nostrils, the included gel nasal pillows seal in each nostril individually. The nasal pillows for the DreamWear mask are integrated into a cushion style frame that snaps on and off of the DreamWear easily and quickly. The nasal pillows have a gel insert that helps promote comfort on the nostril while promoting a reliable seal. This fit pack includes all three sizes of gel nasal pillows: small, medium, and large. 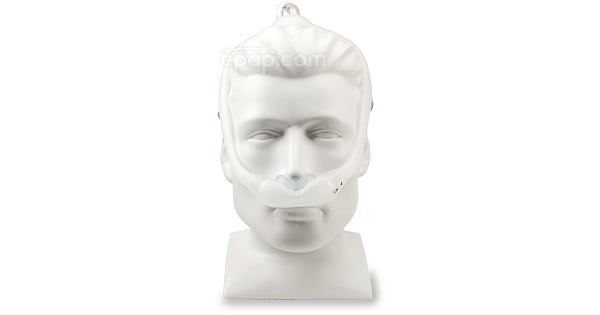 As made popular by the original nasal version of the DreamWear, the mask has a hollow frame that allows CPAP air to travel through to reach the nasal pillows. Air can travel on both sides of the frame unrestricted, or through one side if the other side is blocked by being laid on during side-sleeping. Fabric frame wraps are included for additional comfort. The frame holds the connections to the headgear, nasal pillows, and elbow, making for quick assembly and disassembly. This fit pack includes the medium frame which fits most users, but other sizes are available for separate purchase if needed and are interchangeable. The frame and cushions are made from silicone polycarbonate, not latex. With the unique frame design on either side of the head, the majority of the face is unobstructed, including the line of sight. An open line of sight allows for nighttime reading and the minimal contact points of the mask help avoid irritation and user claustrophobia. The hose connection on the DreamWear mask is at the top of the head using the swiveling elbow. With the connection at the top of the head, the hose can be routed up and away from the user, helping avoid discomfort from having the hose close to the user's face and body. Looking for the nasal version of the mask that covers the nostrils? See the DreamWear Nasal CPAP Mask - Fit Pack. The DreamWear is not made with natural rubber latex. 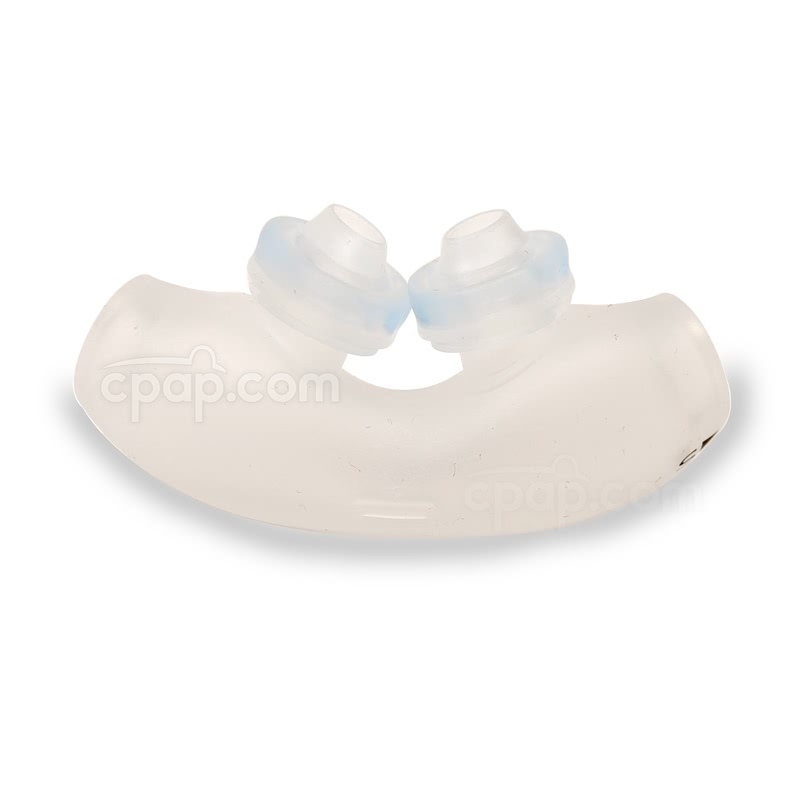 It is made from silicone polycarbonate. The parts of the DreamWear nasal pillow mask excluding headgear should be hand washed daily using warm water and a mild soap. Rinse the parts completely and allow to air dry out of direct sunlight. The headgear should be hand washed weekly in the same manner. The DreamWear nasal pillow size is printed in black letters on the front of the cushion beside the arrow which indicates the frame and cushion connection points. The nasal pillows are available in three sizes: small, medium, and large. To find the size of the DreamWear nasal pillow mask frame, locate the elbow at the top of the unit. Just above the elbow, gray letters are imprinted on the frame to indicate the size. The letters "SM" represent a size Small, "MED" represent a size Medium, and "LG" represents a size Large. The DreamWear cushions are mostly compatible with one another. The DreamWear Frame is interchangeable with all three versions of DreamWear cushion: nasal pillow, nasal and full face. 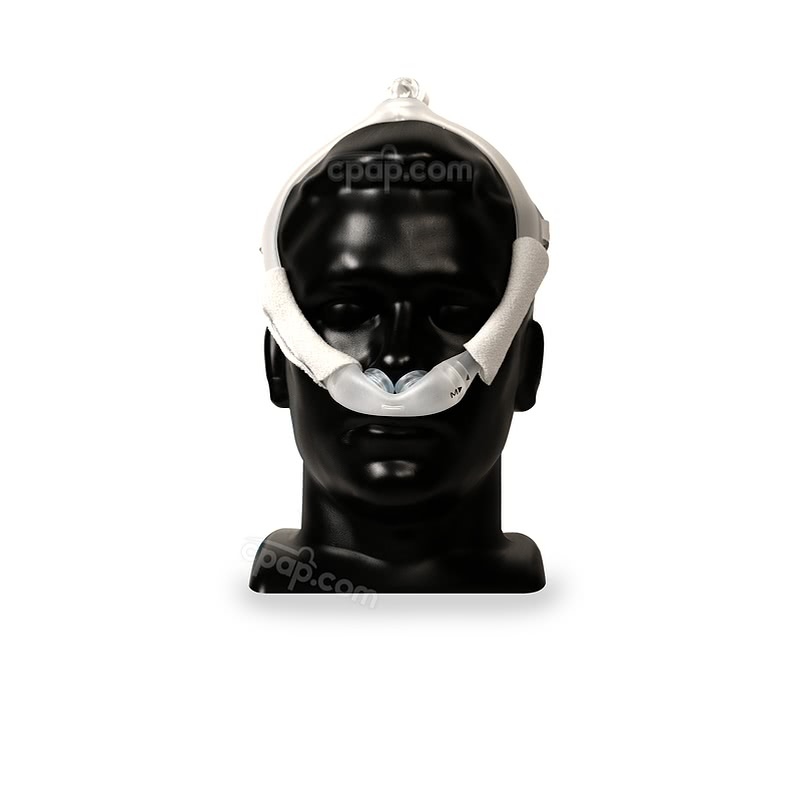 The Headgear for DreamWear Nasal CPAP Mask is the headgear compatible with the nasal and nasal pillow cushions, while the Headgear for DreamWear Full Face CPAP Mask is the headgear compatible with the full face cushion. Begin by placing the measuring tape marker at the base of the nose on one side. Use the tape to follow along the side of the cheek and upward over the top of the head. Keep pulling the tape measure around the face, down the other cheek, and to the base of the nose on the opposite side. 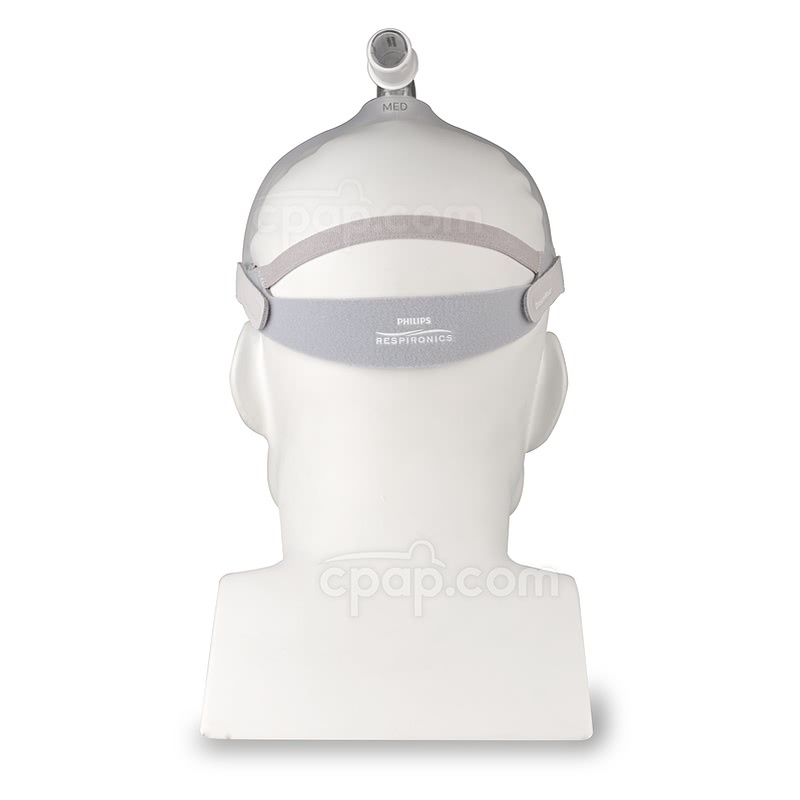 Please Note: The DreamWear Gel Nasal Pillow CPAP Mask with Headgear - Fit Pack is sold with a Medium frame only. The medium frame will fit most users. The DreamWear Gel Nasal Pillow CPAP Mask has two exhalation ports built into the device. Air is released through tiny holes located on the elbow of the DreamWear mask, which is placed at the top of the head. A second exhalation port is found on the cushion of the nasal mask. A small rectangular slit found on the front exterior of the DreamWear cushion allows air to release from the nostrils. The DreamWear elbow is inserted into the circular opening at the top of the DreamWear mask. The flexible mask frame material allows the user to place pressure on the frame as the lip of the elbow is placed inside the opening. The elbow connection should be completely enclosed within the opening, leaving only the outer rim visible. The DreamWear Nasal Mask uses a quick-release swivel to allow users to easily and rapidly remove the mask from the hose when needed. To ensure the mask elbow and swivel are firmly attached for use throughout the night, listen for a clicking sound when installing. 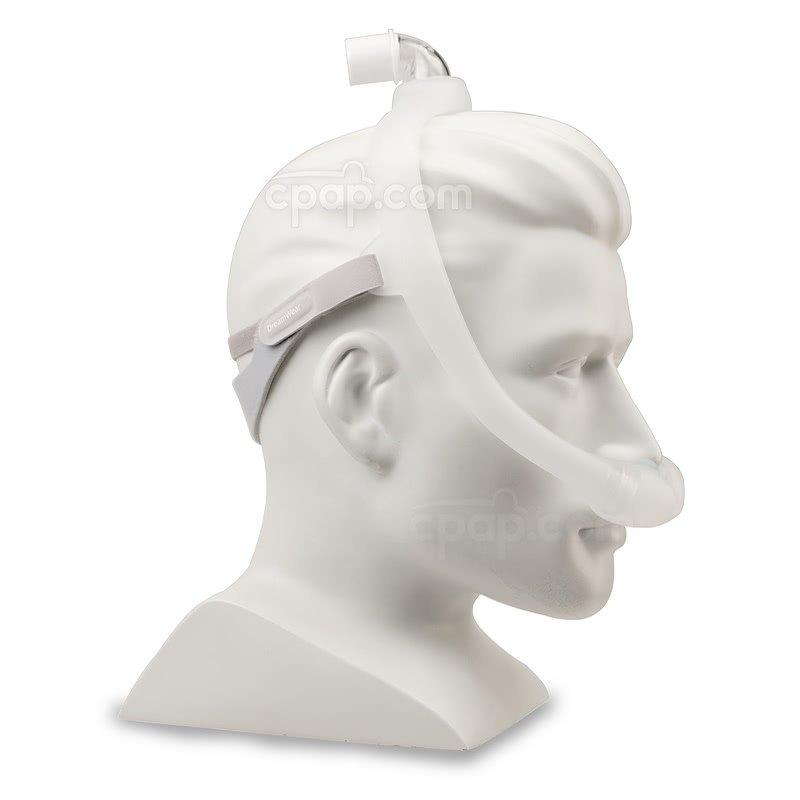 Please Note: It is helpful to give the CPAP hose some slack to create a small range of motion which will help reduce tug on the mask and maintain the unique design of the DreamWear mask. Press the mask elbow into the frame until it is completely enclosed in the frame connection. To connect the nasal pillows, line up the arrow on the front with the arrow on the frame and push the two together until they are clicked into place, then repeat for the opposite side. Ensure the arrow on the cushion matches the arrow on the frame, as the cushion will not function as intended if not properly connected to the frame. The nasal pillow cushion can be removed by pulling the ends away from the frame. Similarly, the mask elbow can be removed by simply pulling it out of the frame. The headgear is removed by releasing the hook and loop fasteners and then removing it from the headgear slots of the frame. If active sleep has resulted in the DreamWear elbow disconnecting from the swivel, it may be beneficial to use a hose clip or hose lift system to stabilize the device above the head. The Hose Comfort section introduces a variety of devices designed to prevent the CPAP tube from pulling on the mask. Wrap the hook and loop strap around the circumference of the CPAP hose. Once the diameter of the hose is covered, feed the strap through the opening in the fabric, and gently pull the strap to ensure the material is firm around the hose. Release the end of the strap, allowing it to adhere to the hook and loop material surrounding the hose. Then, attach the metal clip to the pillow or linens in order to secure the tube. According to the manufacturer, Philips Respironics masks work best with Philips Respironics equipment. 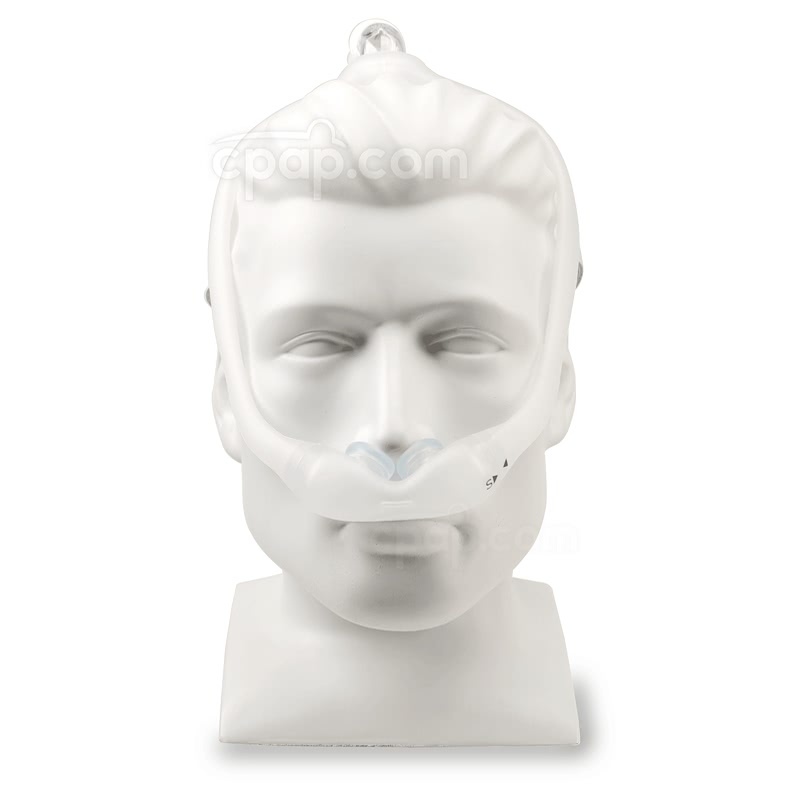 For many of their Auto CPAP machines, the provider will set a particular amount of resistance based on the type of mask the customer is wearing. For small and medium cushions the optimal resistance setting is X2. For large cushions, the best resistance setting is X1.